We custom fit and custom build golf clubs to each customers individual specifications to enhance and maximize the players performance and ability. Having a set built to the specific performance needs and swing characteristics of the golfer will allow the golfer the best opportunity to improve scoring and more importantly increase their enjoyment and love of the game. 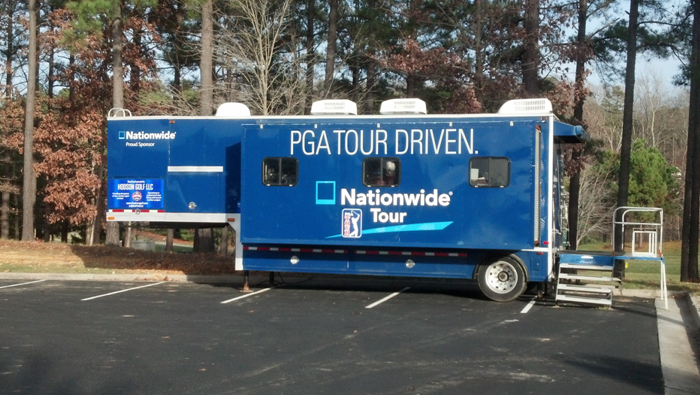 Hodson Golf also utilizes two authentic tour trailers which allow us to bring our extensive PGA Tour repair expertise and experience to our most valuable customers. Hodson Golf is proud to be the regions largest boutique shaft, grip, and head provider and have at our disposal many offerings typically found only on the PGA Tour Trailers (which we have). When it comes to professional/custom repairs we can pretty much do it all (and we do it right the first time unlike the hourly guys at the local big box). We are NOT the large corporate “Big Box” golf retailing chain, that are only interested in selling as many mass-produced clubs as they can. 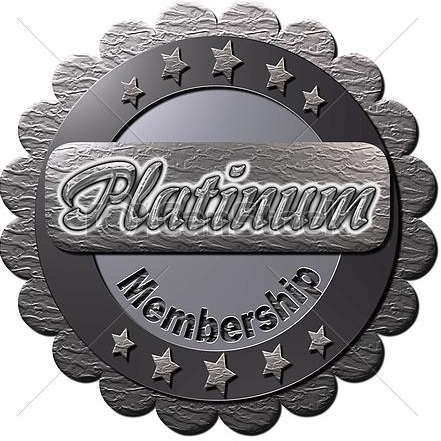 We are a small, locally owned, family run business with a core belief and focus on maximizing each individual customers player quality and satisfaction! In terms of equipment, our philosophy of always custom—never standard is a stark contrast to that of our big box competitors. Our small locally owned family business started with Bert Hodson (1931 Ryder Cup player) and has now culminated with our 4th generation apprentice in training Andrew Hodson II. We bring decades long knowledge and love of the game to our family profession of custom clubfitting and custom clubmaking. We custom fit and custom build for most of the leading manufacturers while also offering a variety of heads, shafts, and grips typically found only on the PGA Tour. “I can’t afford custom clubs” – In most cases a portion (if not all) of the fitting fee is included in the custom clubs that are purchased. 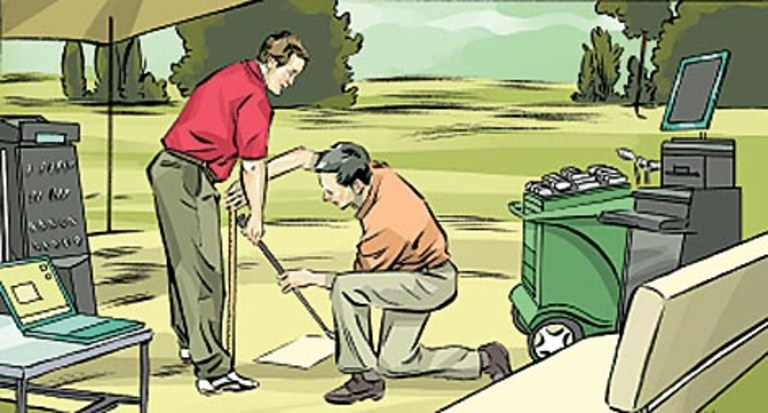 “I’m not playing well now and want to get my swing fixed before I get custom fit”—Most golfers don’t realize that one of the primary reasons for hitting the ball poorly is that they are using clubs ill-suited to their particular swing! “Does a fitting only apply to new custom made clubs”—NO! In a lot of cases we can adjust your existing clubs to better fit your swing profile. 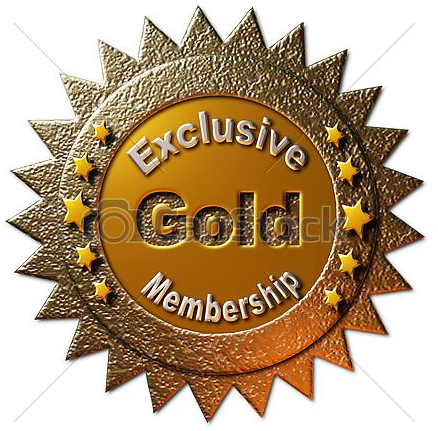 “I see golfers in the indoor fitting bays at my local big box golf outlet—what is the difference between you and them” – We conduct our fittings outdoors and in most cases off real grass (not of indoor mats & hitting into a net). We are also not some hourly employee just there to punch a time card, and we take an honest and professional approach to each fitting. 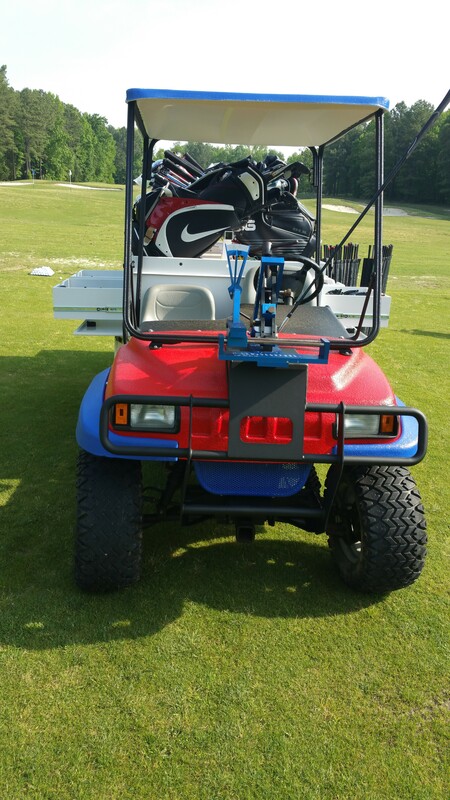 We also built a truly unique fitting cart which allows us to take our fittings anywhere on the range or course!